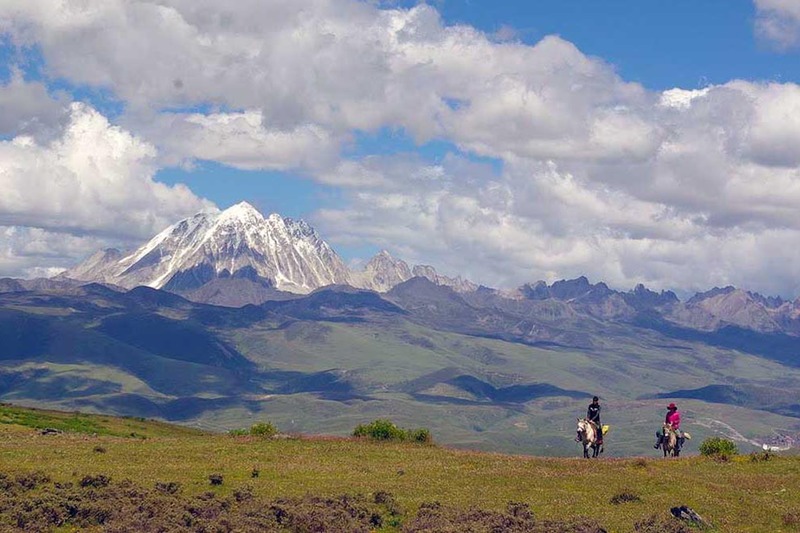 Not so long ago there was an interesting preliminary scientific finding on how humans evolved in the high Tibetan plateau in a short time span. The research brought out some interesting facts about human evolution, and also demonstrated how geography and climate could influence human evolution in a new ecosystem. Similarly, the evolution of the Yoruba people in West Africa has shown how climatic condition affects human evolution. The Tibetan plateau, over 14,000 feet above sea level, is known as the highest plateau in the world. Some historical evidence shows that people have lived on the Plateau for more than 3,000 years. Professor Jonathan Pritchard from Stanford university has suggested that the high altitude forced rapid genetic mutation by natural selection. The discovery made headlines in the scientific community around the world a few years ago. Low oxygen levels at a high altitude would cause chronic altitude sickness and high infant mortality. Recent genetic studies on Tibetans revealed a gene variant. The most rapid genetic change showed up in the EPS1 gene which helped regulate the body’s response to a low oxygen environment more comfortably. However, it is unknown how the mutation and gene allele helped homo sapiens cope with an oxygen-deprived environment. Modern Tibetans have evolved over the years to survive in thin air (scarce oxygen) without the need to produce more hemoglobin and red blood cells. That helped prevent the altitude sickness and headache for these rugged Tibetan trailblazers. In the similar evolution of the Yoruba people of West Africa, there was evolution of a gene involved in kidney water retention. This genetic variation is believed to have occurred between 10,000 and 20,000 years ago. The Yoruba have been exposed to the dry climate of the Sahara desert for thousands of years. Dr Andres Moreno at Stanford University and his colleagues discovered a gene variation known as FOXI1 in the Yoruba people, which helps in water retention in the kidney. They found that eighty-five percent of the Yoruba had an identical gene sequence. Their research showed that the change occurred around the same time that desertification first started in the Sahara. They also found a higher rate of the same genetic sequence in the people of lower altitudes. The scarcity of water in the desert and low-altitude land could have caused the mutation to occur in kidney water retention. The research scientists also suggested that the natural selection was based on the climatic conditions of the Sahara Desert. The question that arises from this study is: If global warming continues, will human evolve to adapt to this climatic change? Would it be rapid enough to evolve our way out of trouble with global warming? These are the questions that scientists need to answer in future. The adaptation of the Tibetan and Yoruba peoples over the period of a few thousand years in response to the harsh climatic conditions is a fascinating example of human nature and its evolution. It’s a wonderful discovery to understand how evolution can occur rapidly in response to geographic and environmental constraints. 1. Pritchard, Jonathan K., Article: “How We are Evolving”. Academic Search Premier. Oct 2010. 2. Hamzelous, Jess. “Is Climate Shaping Human Evolution”. October 23, 2010.